Alfred University is one of the centers for the study of ceramics in the United States. For over a century it has been the place to study ceramics from the makers and the scientist's perspective. 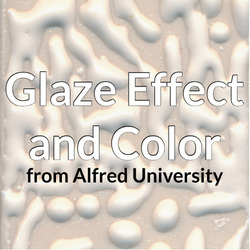 Alfred University offers Matt Katz' clay and glazes classes, online and open to the public. Courses are open to the public for non-matriculated students and life-long learners. The courses are also offered for transferable undergraduate academic credits to students from other institutions. 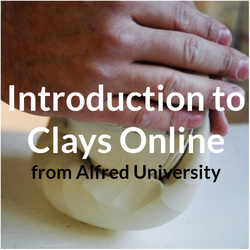 Alfred University offers three courses in ceramic materials online. The next session begins December 18th. Follow the links for more information on each class. An in depth study of how glazes work (and don't work). A deep dive into the nature of our clays and clay bodies. 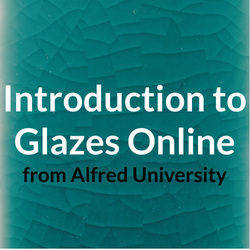 ​Our advanced course, exploring the subtleties of glaze chemistry and firing. Matt Katz has taught Clay and Glaze studies at the world renowned New York State College of Ceramics at Alfred University for over 15 years. He follows in the footsteps of trailblazers like Daniel Rhodes, Val Cushing, John Glll & Bill Carty, teaching these subjects. Matt has made it the goal of his career to make the complex subject of material science digestible and understandable for the artist. Matt has a B.F.A. from Alfred University and an M.F.A. from the University of Colorado- Boulder, both in ceramic art. He understand the challenges that making pottery and sculpture that face the student and working artist. Matt also worked for 20 years as a research scientist and industrial consultant in the Ceramic Engineering department at Alfred University. Matt's experience as a maker, scientist, consultant and teacher, gives him a singular perspective on what ceramics artists need and how they learn. Matt has been teaching online for many years. He has crafted course work that works perfectly for students. Combining recorded lectures, live online video discussion, readings, and labs catered to maximize the educational experience. The online academic experience is revolutionary for a complicated subject like ceramic materials. It enables the student to access the class, on their terms, when they feel most responsive to input in a comfortable environment. It also allows for multiple viewings, allowing students to rewind and re-engage with content, they don't feel they have fully absorbed.